For years I’ve put my trust in the same eco-friendly beauty brand. In fact, I’ll very rarely experiment with something new – especially when it affects my facial skin. But recently I’ve made an exception, with the vegan face cream by the young label Naturmädchen. A new arrival on the market, the skincare formula convinced me straight away by not being based on an endless list of ingredients. Instead, you’ll find a small number of carefully-combined plant-based oils and extracts – and the shorter the ingredients list the better. That’s one of the very few beauty secrets that I owe to women’s magazines – an insight that’s turned into one of my personal principles. 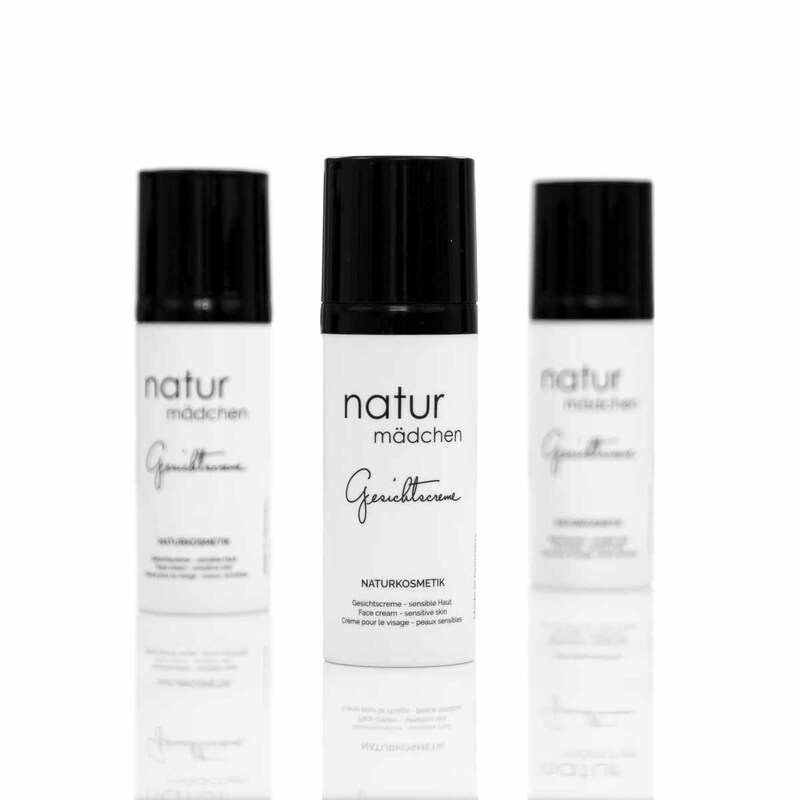 In the Naturmädchen face cream, you won’t find any synthetic, genetically-modified or chemical ingredients. In addition to this, many of the products by the Lower Rhine region-based brand are free of parabens, synthetic fragrances, mineral oils, silicone, PEGs, nanoparticles and microplastics. Instead, products are packed with plant-based hyaluronic acid, which nourishes and maintains the skin’s layers and helps retain its moisture. Avocado oil, meadowfoam seed oil as well as mango and cocoa butter help boost moisture levels while supporting cell renewal. On top of this, the addition of orange oil doesn’t only work anti-inflammatory and anti-septic wonders, but also gives off a lovely scent, which instantly blew me away. All this, as well as the fact that my skin didn’t show any signs of irritation such as redness after several days of use and instead feels smooth, was enough to convince me of the Naturmädchen brand. Besides everyday skincare, the face cream promises another benefit: protection from HEV light – the light that’s radiated by smartphone and laptop screens. It’s also the light that, dermatologists say, can lead to the premature ageing of skin. If you’ve never heard of this before – well, I haven’t either. But the beauty promise made me curious, and I did a little research on the topic. My findings: Especially in the US market, HEV filters are a huge topic. Long-term studies on the negative effects of the synthetic blue light are inconclusive, but there is plausible evidence that suggests adverse effects on the skin. To avoid this, Naturmädchen is putting its money on a plant-based HEV filter from the marigold plant. The substance, which is extracted from the flower, is a carotenoid lutein and strong antioxidant, which is said to protect from the cell-damaging blue light. It’s also said to improve the skin’s moisture retention and to slow down the deterioration of elastin and collagen. Whether this is 100 percent correct, I can’t say. Until then, I’ll keep enjoying my new skincare routine, and am already looking forward to upcoming products in the line of Naturmädchen natural cosmetics.